Are you looking for a new career challenge in the New Year? Woodbrook Group, Europe's fastest-growing firm of financial advisers, is seeking experienced and dynamic professionals to join its expanding team. Malta and Russia, and Ho Chi Minh City, Vietnam. Woodbrook's exciting expansion plans for 2019 will see the company make further acquisitions in Latin America and UAE. The group finds the breadth of its operations has a particular appeal to employees who have acquired extensive experience in a variety of offshore locations and are looking for an interesting base and an exciting company with which to complete their careers. At the other end of the experience scale, Woodbrook also appeals to young professionals who want to take their expertise onto an international platform with an experienced company that will help them develop their careers. 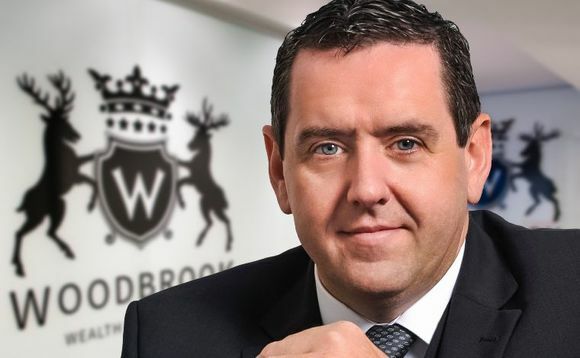 "We are looking for people with at least a year's experience of the offshore market," says Woodbrook Chief Executive Michael Doherty (pictured above). "They are people who want to take their career to a new level, who are looking for a new start in the New Year." The group is proud of its personal touch and of having retained a personal interest in each individual employee, despite the company's international growth. "Although Woodbrook has multiple offices we still have a family-office feel," says Michael Doherty. "Anyone who joins us will not get lost in a huge corporate machine. " Woodbrook also brings this individual approach to its clients. "We are proud of working as a team to customise individual strategies for our clients," says Michael Doherty. "One of the most important things is that we are independent consultants, so we have no outside interests. Our focus is on the clients, we place their needs first and help them to achieve their goals." People who have worked with Woodbrook speak of how welcome they were made to feel and the high level of training they received. The company is dynamic, but its business methods are not cut-throat. "We want to grow, but it is strategic growth," says Michael Doherty. "We want solid people who are looking for stability in a large, regulated and target-driven company." Woodbrook is fully licensed and regulated. Its advisors can sell in any country where the group is regulated to sell and not just in the country where they are based, as is the case with many companies. Michael Doherty's career mirrors the growth of Woodbrook. The Irishman started his own mobile phone company when he was just 17, sold it a few years later and went on to found a logistics company before moving into the financial services sector and establishing Woodbrook as a global force. He has worked tirelessly around the world to establish the group's international reputation and was recently recognised as one of the ‘100 Most Influential People in the Global Financial Services Sector'. "I am interested in talented people with genuine enthusiasm for the job," he says. "If they are willing to work they will find Woodbrook very rewarding both in terms of payment and career satisfaction." Jason L Truesdale, Woodbrook Group Country Manager, Hungary Croatia and Slovakia, said: "I've been with Woodbrook from the very beginning, and as the company has grown so too has my career. It's been a rollercoaster five years, and I've loved every minute of it. The huge growth we've experienced is a testament to the strategies the company put in place from the start. The next five years promises to be even more challenging as we expand our operations around the world. He continued: "From a personal point of view, Woodbrook has implemented key decisions at the right time that have allowed me develop on a personal level, and to give my clients the tools required to build a successful portfolio." "Woodbrook Group is fully regulated and following MiFID 11Law, which makes a crucial difference when it comes to reassuring clients that their investment is in safe hands. "The future looks bright, and if you are looking to develop your career, to grow and develop within the industry, then Woodbrook Group is the place to be." Berengaria 25 25 Spyrou Araouzou, 6th Floor, 3036 Limassol, Cyprus.